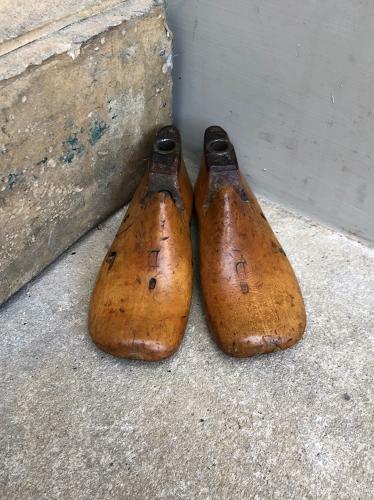 Super Cute Early 20th Century English Matched Pair of Childs Shoe Lasts. Size (small) 6. D width. Such decorative items. Great colour/patina. When you turn them over there are pin marks on the bottom from attaching the leather to make the shoes (just as there should be).